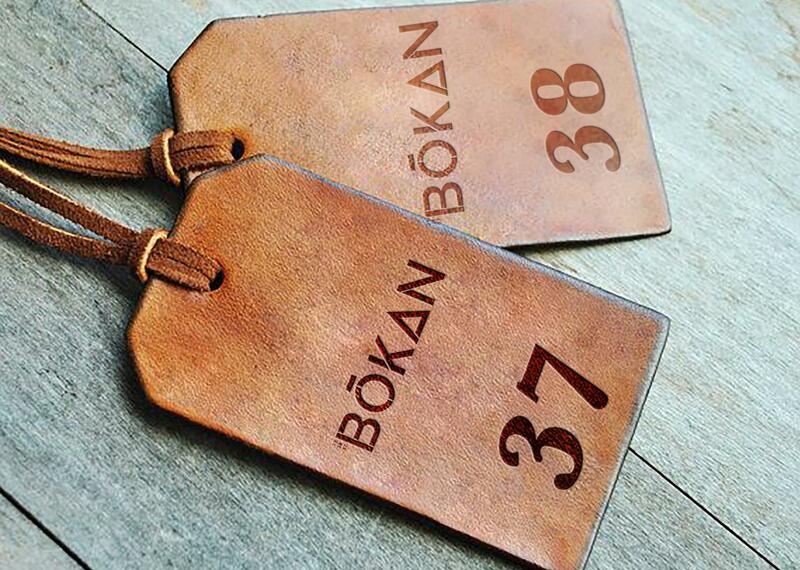 Bōkan means lighthouse in Old Saxon; a nifty opener to impress a prospective date while dining at Canary Wharf’s namesake restaurant. 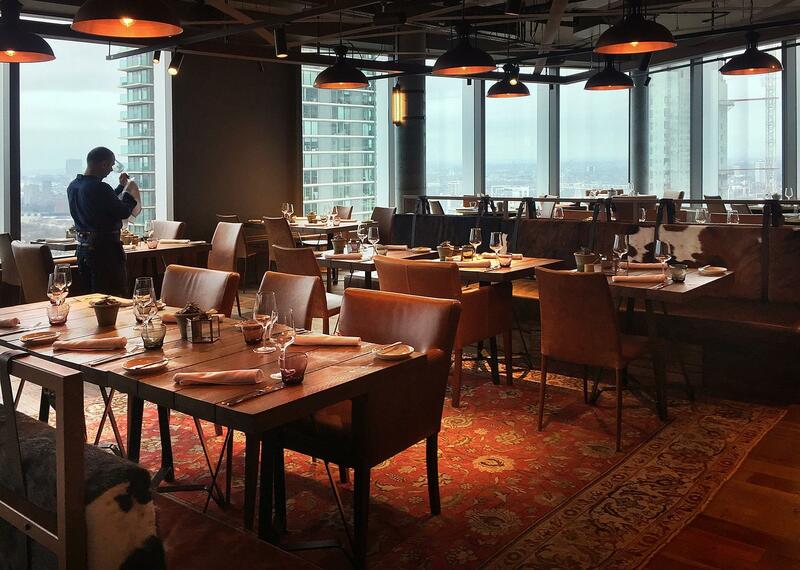 Bōkan occupies the 37-39 floors of the Canary Wharf Novotel, a feat that surpasses any restaurant at The Shard and makes it one of London's highest dining destinations. 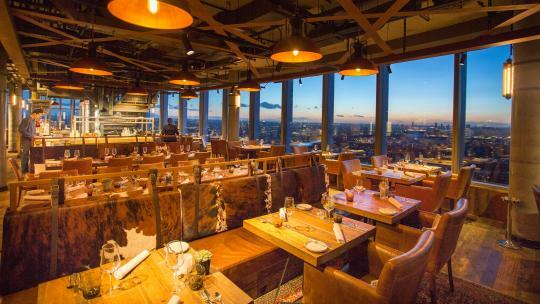 Far from your average hotel outpost, this award-winning 2 AA Rosette restaurant towers above Canary Wharf and offers panoramic view over London, visible from almost every angle. 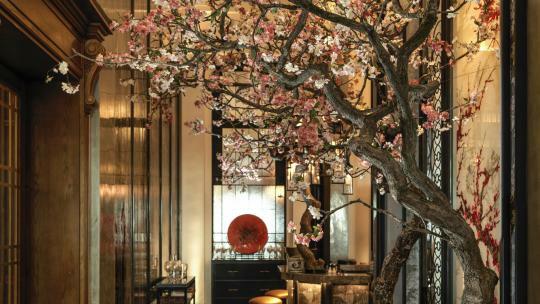 During the day, light floods through the floor-to-ceiling windows, while in the evening you can gaze out at the capital's twinkling skyline. 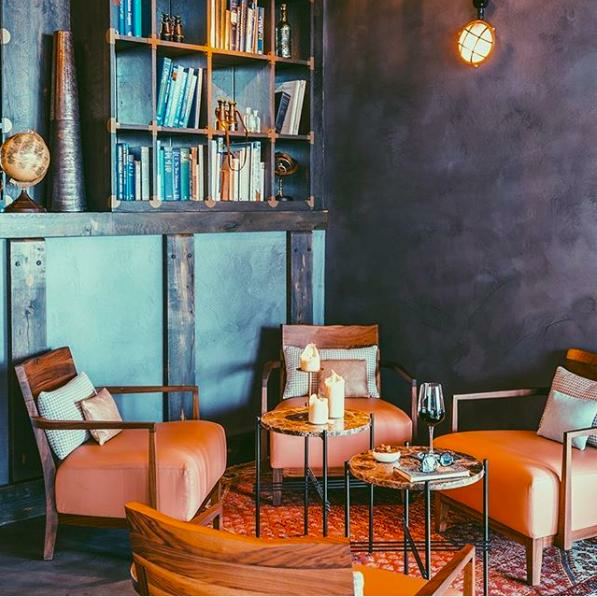 Modern, industrial-chic interiors are the perfect foil to Valentine’s Day’s clichés; think Scandinavian simplicity meets dockside factory with exposed roofing, open brickwork, earthy tones and lots of leather and wood. 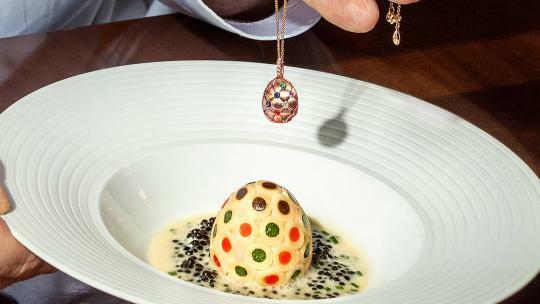 For Valentine’s Day, French chef Aurélie Altemaire, formerly head of L’Atelier de Joel Robuchon, has created an exceptional six-course tasting menu, designed with romance in mind. 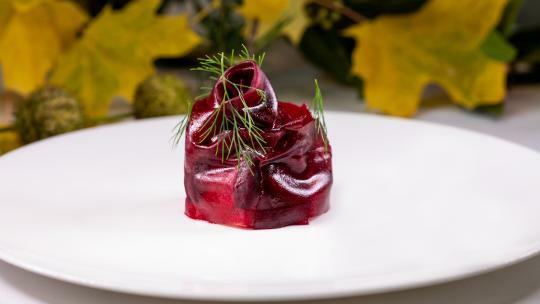 Highlights include a delicate, lightly-smoked confit of Scottish salmon; British dry-aged beef fillet and foie gras and a glistening pomme d’amour desert. 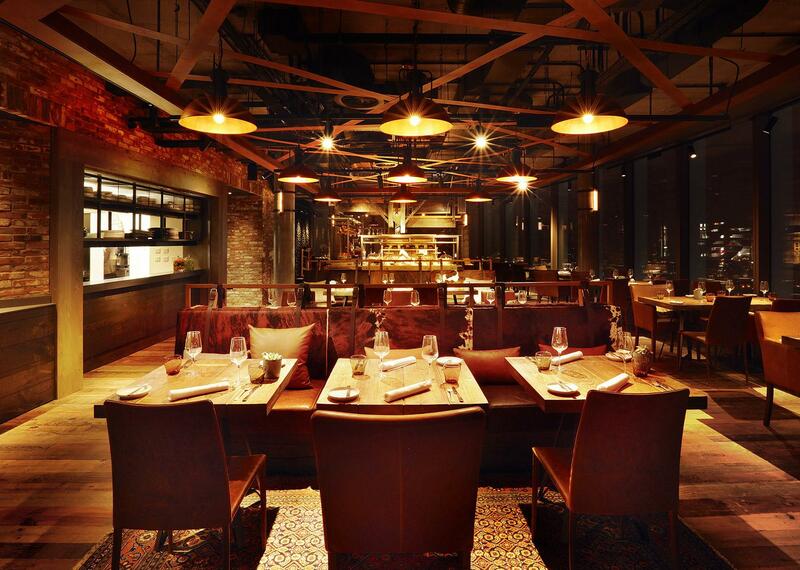 Because nothing evokes old-school romance quite like a rooftop, finish the evening on the heated alfresco terrace. 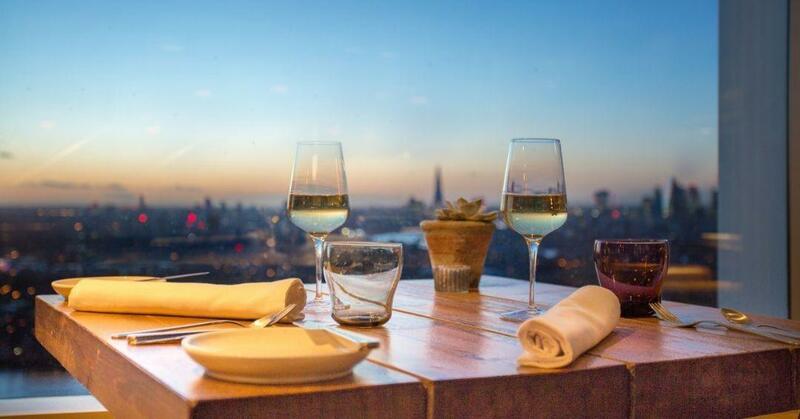 The menu starts from £95, including a complimentary glasses of Taittinger champagne each, coffee and petit fours, or £115 for a window table, with breath-taking views guaranteed.